It is time for another libro lunes, when I tell you about a Spanish reader you need for your classroom library. It is a great time to get that holiday wish list ready, and this is book you want on it! 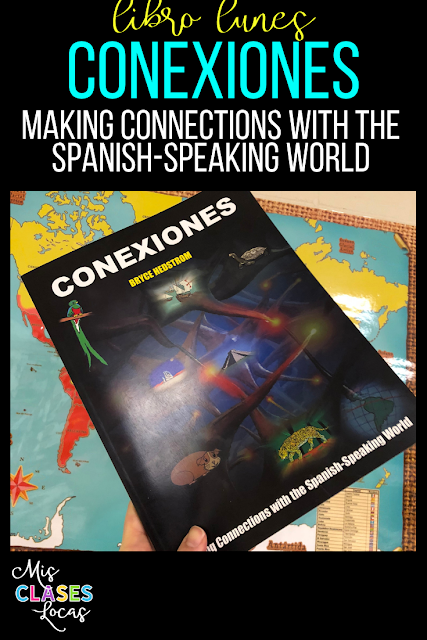 Conexiones - Making Connections with the Spanish-Speaking World is a completely unique book from Bryce Hedstrom. It is a non-fiction book, that would be perfect for free reading in any Spanish class. It is large in size, and with 99 pages and over 22,000 words in Spanish, there is a ton of content included. We were lucky that Bryce came to IWLA, and was able to get a copy directly from the author, but you can order it directly here. I love that it is not your typical fictional reader. While options have been expanding, for a while, the majority of the comprehensible readers for Spanish class seemed to be silly and fictional. We have students that enjoys all types of reading, including non-fiction, and it is our job to help them find the perfect free reading option. I have multiple specific students in mind that I will guide to pick this book during free reading. This book helps to fill that gap in the classroom library, with both beginner and advanced beginner readings included. Not only would it be great in a classroom, but also I think my own four year old son would enjoy some of these short readings as bed time stories. He really likes checking out non-fiction books from the library, and learning about the world. (Also, I always read to him in Spanish). Conexiones would be a great addition to parents who home school, or are working to help their children learn Spanish. This book could honestly be the backbone of the cultural and geographical curriculum of a Spanish class. There are so many cross curricular connections, it would be very easy to work with other departments to plan a joint lesson or unit. This includes: history, science, math, geography, biology, food, art, legends, celebrations and more. The cultural dictionary itself is such a rich resource and depending on your objective there are many possible avenues to expand. Knowing your class and their interests, you can figure out which direction you would want to go with all of the possible content. 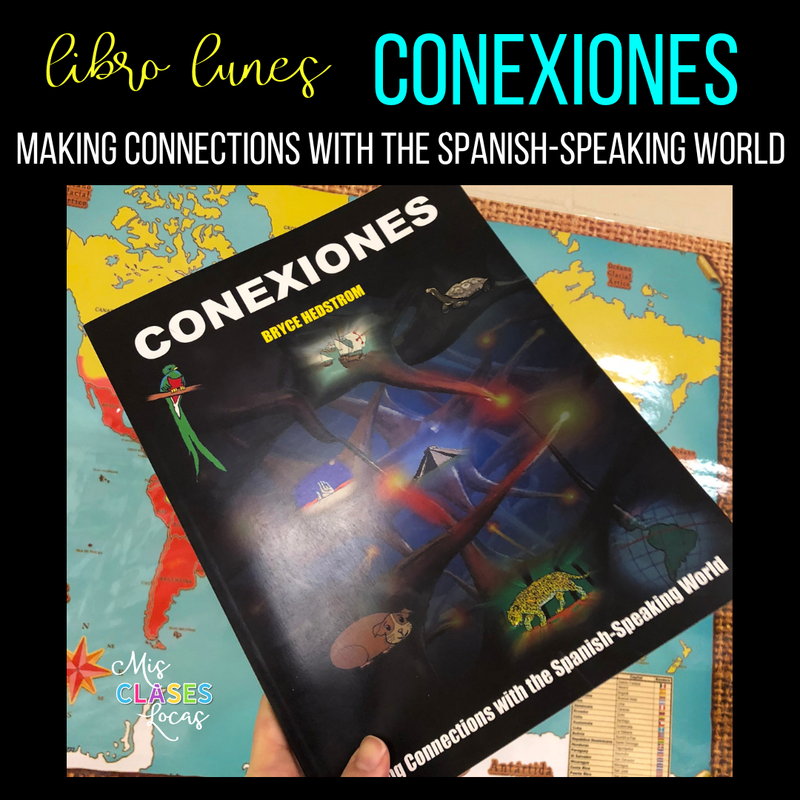 Have you read Conexiones? Please add your review in the comments!